Nothing quite tells a story like a video. 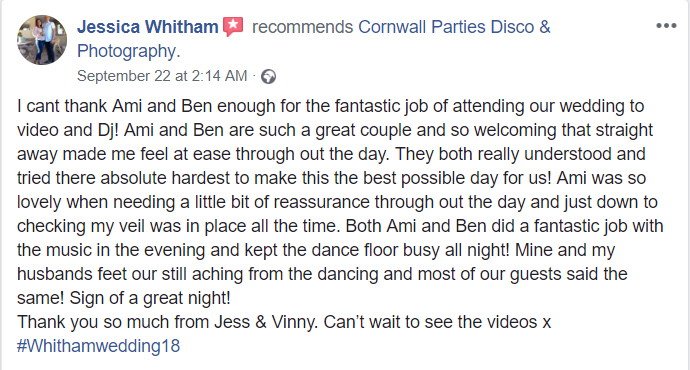 I am Ben the videographer for Cornwall Parties which I also run alongside my wife of 21 years, Ami. I have always had a passion of filming things and making little films. Whether that be our family holiday, on the road DJ, footage of our wedding Discos and more. Over the past 2 years, my filmmaking has to be taken to a whole new level and am happy to say that as well as DJing at weddings this is now my sole job. I always feel very honoured to be asked to capture somebodies big day on video and create a lasting memory forever in film. It can be very emotional capturing all those special moments throughout the day that would otherwise be missed by many. I have multiple cameras, so we are able to get different angles to the tell the story of your magical day from start to finish. As with our photographer, I shoot in a documentation way, so I am not in everybody’s faces all of the time, the best footage is captured when they do not know when they are being filmed. 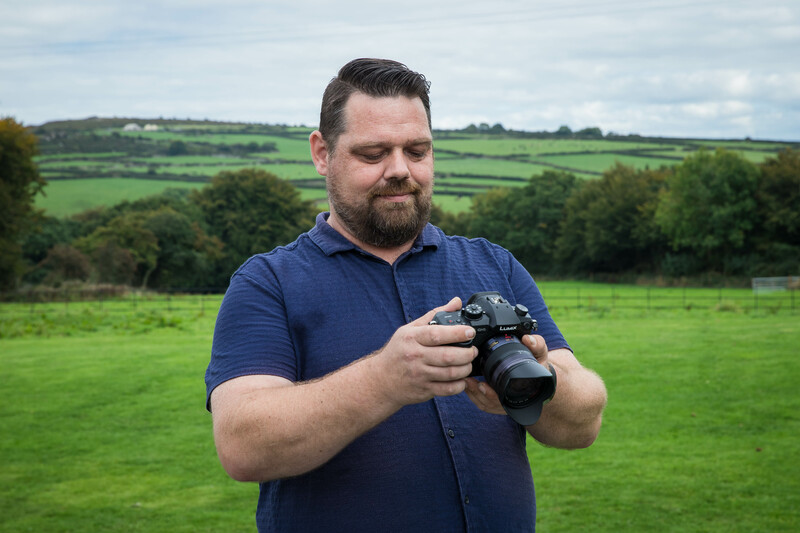 I am 40 years old and I have had a passion for filmmaking for many years, often recording family holidays, events that we have put on and from a promotional video for our Disco business. I live in the beautiful fishing village of Padstow. I have been running Cornwall Parties alongside my wife for 4 years. For 20 years I have had a career as a DJ. During the 90s & 00s, I was DJing all across Cornwall and the UK as a rave DJ at numerous clubs and events. I was very fortunate to have played alongside or warmed up for some of my biggest DJ idols in the rave scene. I am forever learning and improving with every single wedding video that I do. Along with my wife of 21 years, I have promoted and ran numerous music events, club nights & festivals. I have been a Dad for 18 years now and love every second of it. If you would like to leave me a review, it is always greatly appreciated.